Today: [Psalms Nineteen] The Witness and the Law of God. In this psalm David compares the truth of God revealed in the natural world around him to the law and the statutes of Moses. Paul taught that God’s truth is so evident in studying nature that man is without excuse. The heavens declare the glory of God and the Law of God even more so. In speaking of the Law David mentions also the testimony of God. There are two aspects of the word of God – the objective truth of the scriptures and the subjective resource of the “testimony” or the prophetic word. We must have both to be properly armed with our spiritual armor. [Psa 19:1-14 KJV] 1 [[To the chief Musician, A Psalm of David.]] The heavens declare the glory of God; and the firmament sheweth his handywork. 2 Day unto day uttereth speech, and night unto night sheweth knowledge. 3 [There is] no speech nor language, [where] their voice is not heard. 4 Their line is gone out through all the earth, and their words to the end of the world. In them hath he set a tabernacle for the sun, 5 Which [is] as a bridegroom coming out of his chamber, [and] rejoiceth as a strong man to run a race. 6 His going forth [is] from the end of the heaven, and his circuit unto the ends of it: and there is nothing hid from the heat thereof. In this chapter David begins with an astronomical reference. Gen. 1:14 tells us that the stars are given for signs and for season. A man by the name of EW Bullinger wrote a book titled “Witness in the Stars” in the 1800’s. He contends that the original names and arrangement of the constellations originated with God for the purpose of declaring the message of the gospel. If you do a search of Bullinger’s name and the title “Witness of the Stars” you can find a free PDF of this book to study yourself. It is very interesting. The Psalms and other books of the bible are replete with references to the stars and constellations connecting them with biblical truth. 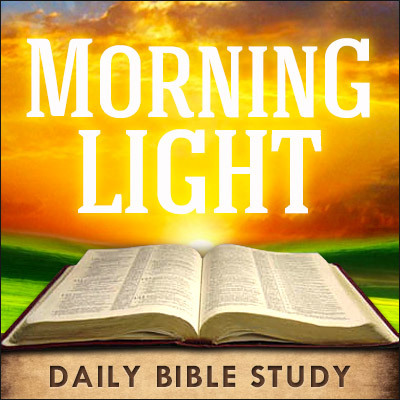 Verse 2 tells us that wisdom is revealed in the day and knowledge is revealed in the night. This is a reference to dreams and visions. Generally speaking dreams in the night will reference things that are known to you and matters that are familiar to your life. A properly interpreted dream very often will leave you with the thought that you already knew what the dream references and wondering why God would speak to you about something you were already aware of. The important thing to know is not that the dream contains a secret but rather it contains something known to you that God is putting your attention on saying “this is important”. Also remember that dreams give you information but they don’t necessarily tell you what to do about it. Many people make big mistakes when they realize God is speaking to them in a dream but then make the assumption that they know what to do about it when they do not. Dreams reveal knowledge but very seldom will tell you what you must do. Night brings forth knowledge, day brings for wisdom. You hear from God and He puts your attention on something in a dream but you must go to Him in your prayer life to determine what to do next. Day unto day brings forth wisdom. Why is this? Because as Joel 2:28 says it is the “old man” or natural man who dreams dreams but it is the young man (spirit man) who has visions. Wisdom doesn’t come from the “old man) or the natural man. Wisdom comes from the New Man inside of you where God lives by His Spirit. 7 The law of the LORD [is] perfect, converting the soul: the testimony of the LORD [is] sure, making wise the simple. 8 The statutes of the LORD [are] right, rejoicing the heart: the commandment of the LORD [is] pure, enlightening the eyes. 9 The fear of the LORD [is] clean, enduring for ever: the judgments of the LORD [are] true [and] righteous altogether. 10 More to be desired [are they] than gold, yea, than much fine gold: sweeter also than honey and the honeycomb. 11 Moreover by them is thy servant warned: [and] in keeping of them [there is] great reward. This is known as natural theology – or things that may be known about God and His nature by studying the world around you. The truth that may be known about God through this type of inquiry is so profound that it leaves man without excuse for his sinful condition. [Gal 3:24 KJV] 24 Wherefore the law was our schoolmaster [to bring us] unto Christ, that we might be justified by faith. What this tells us is that we cannot be saved or come into right relationship with God or move the hand of God by moral excellence or religious performance. Gal. 2:16 states that “… by the works of the law shall no flesh be justified”. In other words the law does not deal with the sin question. This is the message of Romans 7. The law provokes knowledge of sin and knowledge of sin leads to the conclusion that man needs a savior. Satan brought man knowledge of good and evil as something to enjoy and consume. God brought knowledge of good and evil by virtue of His perfect law and thereby conveys to man his need of salvation turning him to the Tree of Life who is Christ. Verse 7 says that the law is perfect and leads to conversion of the soul. It also mentions in verse 7 the testimony of the Lord that makes wise the simple. What is the testimony of the Lord? Rev. 19:10 tells us the testimony of Jesus is the Spirit of Prophecy. This is the two edged sword of the word of God that Hebrews 4:12 speaks of. The word of God contained in scripture is the “LOGOS” of God. Logos means “the expression and reasoning” of God. There is also the “RHEMA” of God which is the “utterance” of God, referencing the prophetic. You must have both. The LOGOS without the RHEMA is not full armament (and vice versa). This is why 1 Th. 5:20 says “despise not prophesying”. Prophecy has it’s place just as the scriptures have their place. Without both God’s people are crippled spiritually. To deny this is to deny the power of God and the testimony of God. 12 Who can understand [his] errors? cleanse thou me from secret [faults]. 13 Keep back thy servant also from presumptuous [sins]; let them not have dominion over me: then shall I be upright, and I shall be innocent from the great transgression. 14 Let the words of my mouth, and the meditation of my heart, be acceptable in thy sight, O LORD, my strength, and my redeemer. Verse 12 is a call to hold yourself accountable to what the word of God reveals in your life. The word of God is a searchlight revealing things in our lives that are contrary to God’s character. Without the word of God one is incapable of understanding his errors. Let your prayer consistently be “Lord cleanse me not only from known shortcomings but from secret sins…” In verse 13 David acknowledges his propensity to act presumptuously. He almost acknowledges that it is inevitable for him to commit presumptuous sin and simply asks the Father not to allow them to have dominion over his life. A presumptuous sin can take the reigns of your life and dominate you for years (such as presumptuously marrying the wrong person). David asks the Father and we should ask the Father to so move in our lives that intervention takes place before presumptuous sin steers our lives into years of disaster. This is what David calls “great transgression”. Though he is a man after God’s own heart and the anointed king of Israel, David knows his own capacity for failure and shortcoming. Finally David asks the Father to find the words of his mouth and the meditation of his heart acceptable in his sight. He acknowledges that God is his strength and his redeemer and he is not looking to his own prowess or the strength of his kingdom to keep him safe. Where does our security lie? What is our response when threatened? When we are laid off on our job do we fall into a panic or do we realize that God is in control? When some anchor of stability in our life loses its mooring do we fall into fear and sinful attempts to control and manipulate situations? As David mentions the meditations of the heart and the words of the mouth often reveal insecurity and fear. When threatened we often voice our unbelief and frustration. David apparently makes the attempt as should we as well to harness our words and even when facing challenge so order our thought life and our conversation as to reflect our trust in God.